There is something about the sea. When we think about massive spaces, the sky above usually grabs all of the attention, yet we’ve hardly made a dent in the wonders of the ocean. The sea is a flowing medium that can suffocate and crush us, or even simply conceal things that want to end our existence, and that doesn’t necessarily have to be the Elder Gods. In Abysmal, Ugasanie & Xerxes the Dark have created a dark ambient dose of warm insidious terror, one that takes the listener by the air-hose and drags them into the murk. Album Description: Ugasanie & Xerxes the Dark team up on this album exploring the darkest depths of the ocean. The walls creak as you find your balance in the swaying research ship. A week in this storm is enough to make any man’s stomach turn, but today you enter the depths of the ocean. You slap some pills into your food hole and climb to deck, the bathyscaphe stands ready. You're 10 hours deep into the ocean when the power goes out. What the hell is going on up there? The darkness outside is thick, snake-like shadows worm around the vessel. Your trembling hand pushes down on the radio transmitter button, it's dead. For lovers of deep drone and isolated soundscapes, you want to swim with the leviathan? This is your album. (FYI: A bathyscaphe is a kind of deep sea submersible. It’s also the title of one of the tracks, so I just knew I’d have to Google it to find out what it was. I thought it might just be like a bath-based-catastrophy, maybe someone slipping on the soap as they try to get out. I’ve certainly learned my thing for the day). The tracks on Abysmal make great use of field-recordings to achieve their effect, which is something that I nearly always enjoy. From the opening sea-bird cries of Ships That Do Not Return, to the creaking metal heard in Creatures Of The Depths, the recordings do a fantastic job of setting the scene. And that’s not even mentioning the wonderful sounds of water, be it the broiling sea or the delicate bubbles rising from the depths. Actually, I will stay with Creatures Of The Depths for a bit longer, as it’s a track that I really clicked with. After a very deep-sounding opening, we hear a flurry of bubbles and the diving klaxon of a submersible. After even more bubbles, we are treated to a variety of metal creaks that we can follow as they move from ear to ear. If this track doesn’t conjure impressions of sinking into the watery abyss, nothing likely will. The titular creatures, when heard, seem to call and cry with an underwater kind of wolf-howl. That’s the best way I can describe it. Top stuff. Another track that I particularly enjoyed was The Unseen Dead Ship. The title itself brought to mind ghostly images, and the soundscape contained within certainly seemed to go along with this notion. After some bubbling water, again a sound that flowed from ear to ear, we hear an airy drone with a slight rumbling. Creaking is heard, possibly wooden this time, possibly a mast. I got the impression of fog as higher tones came out to play, a shimmer that hinted at the ghostly manifestation suggested by the track title. Another fun track. Finally, and the final track of the album, The Sailor’s Song. This features yet more of the delicious field-recordings, setting the briny scene, but ends with a sailor’s voice. His words end with a cough and the sounds of drowning, which was a lovely surprise and something that I didn’t see coming. Dark eh? I loved it, and can’t think of a more interesting way to end an album. 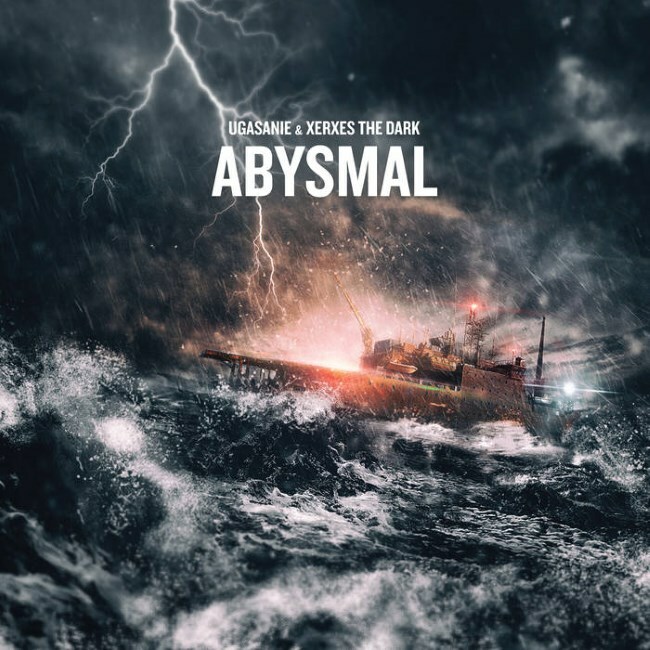 Abysmal is a dark ambient album that features a watery mixture of gentle deepness and active darkness. Pressure builds as the soundscapes deepen, the sounds distorted by the fathoms, pulling the listener down and along for the ride. If your mind is tired of soaring among the heavens, or roaming strange dimensions, why not let it be dragged into the abyss for awhile, and see what comes and gives it a nibble.